The hopper is loaded with bulk chocolate disks and its high capacity- approximately 30 l – guarantees long operational autonomy. A system for eliminating broken disks ensures that only perfectly intact disks are fed into the M220. 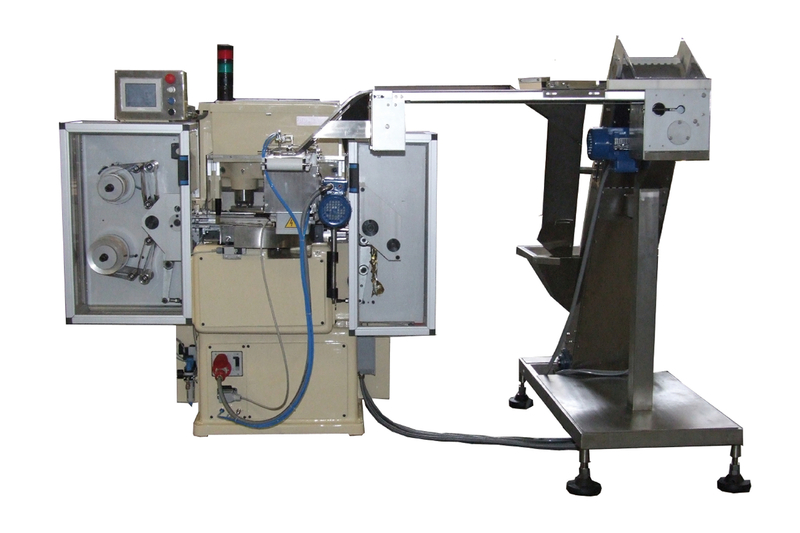 This feeder allows the M220 to be set in line with the chocolate disk production system for fully automated feeding or as an independent unit composed by the AM220 and M220, where the operator must only load the bulk chocolate disks and therefore, they can feed and monitor several machines. modifications and this allows it to be installed on site even on machines already working.